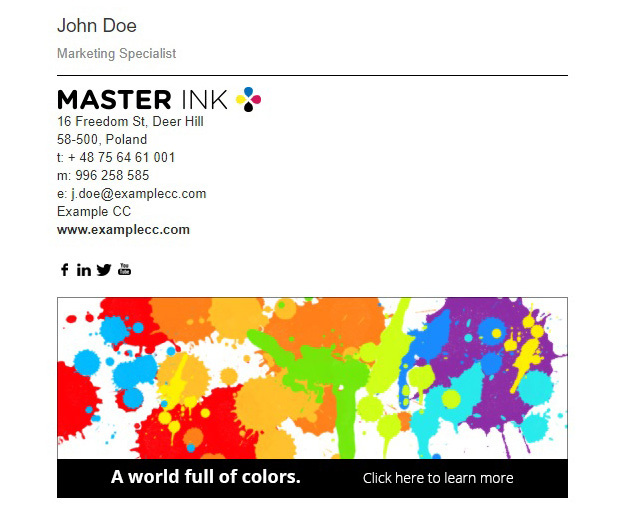 A professional email signature with a marketing banner will help your company spread any kind of information you may want your recipients to know about. The possibilities are countless allowing you to present new products or services, inform about promotional offers or changes to company contact details. Feel free to edit this template in the Signature Generator to make some additional adjustments or download it in the current form.